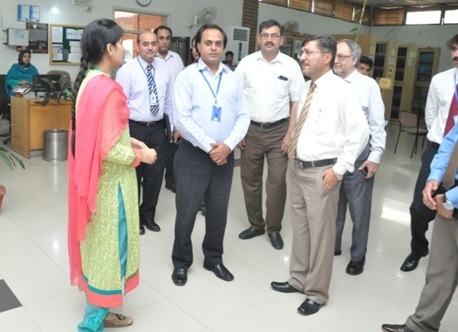 The delegation of National Business Education Accreditation Council (NBEAC) visited CUI-Lahore library along with Dr. Qaisar Abbas (Director CUI-Lahore), Dr. Amir Rashid (HOD MS) and senior faculty members on May 15, 2017. Dr. Muhammad Tariq (Library Incharge) welcome the delegation and briefed them about library resources and services being provided to library users. The delegation also visited different sections of the library and admired the services, resources, infrastructure that are being provided to the users.